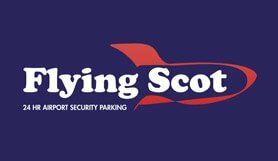 Flying Scot Parking at Glasgow is located just 1.5 miles from Glasgow airport, and just a 5 minutes transfer. With approx. 3000 parking spaces in our purpose built car park at Glasgow Airport, allows us to give you the customer the best deals in low cost Secure Airport Parking. The car parks are open 365 days a year, 7 days a week, 24 hours a day. The car parks are secured with CCTV cameras, full fencing, automatic floodlights and 24 hour guard dog patrol. Free 24 hour transfer to and from the airports, buses running every few minutes. Telephone lines open 24 hours per days, 7 days per week. This service isn't ideal for disabled passengers. Please arrive at the car park at least 30 minutes before earliest recommend your check-in time. You will be required to leave your keys with the attendant. Flying Scot has a £5.00 surcharge for long wheel base vehicles payable on arrival at the car park. Please report to the car park reception on arrival and present your confirmation email. Please arrive at the car park at least 30 minutes before earliest recommend your check-in time. Entrance to our Carparks is via Secure Gate Entrance Barrier. Full details of the returns procedure will be given on arrival at the car park. A unique PIN number is required before leaving, which you receive once you have checked out at reception.